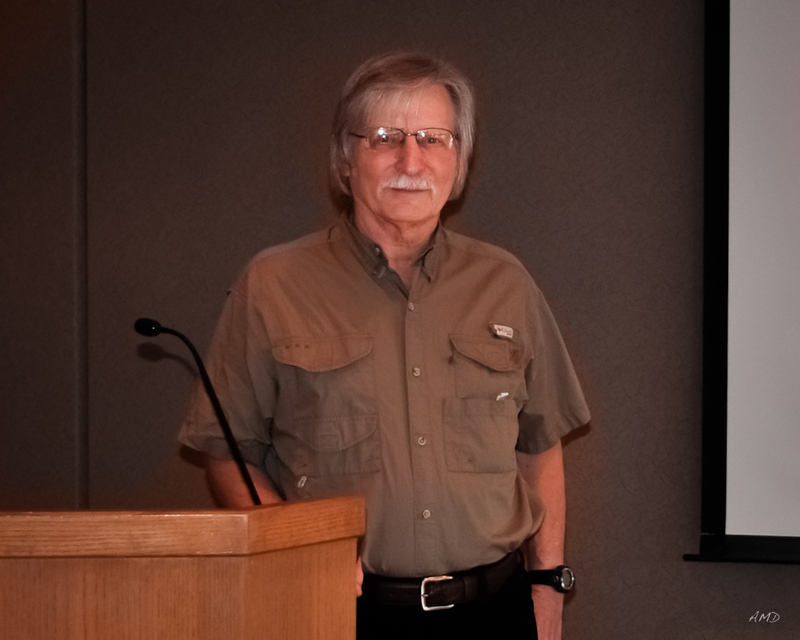 With 90 members in attendance, Walt Anderson presented to the audience a slide show presentation of what a perfect year shooting wildlife would look like. He admitted that this presentation was not done in one consecutive year but compiled from several years of photographing. The slide show was a month by month image selection in which he picked a specific location or geographic area. Time frames for photographing are general and not specific to days at any particular place. Some of the highlights of Walt’s presentation included January in Southern California where it’s a lot more pleasant than Chicago. The area that appeals to Walt is essentially from Orange County to San Diego. Birds nesting from the north come down to this area and a number of city and national parks have lots of activity. As examples, Walt’s images included areas from Balsa Chica Reserve at Huntington State Beach where it is close to the ocean. He emphasizes that it is a fantastic spot for birding (Herons, Black Phoebe, Bittern, Sanderling and Western Grebe). Down the coastline toward San Diego at Santee Lakes, you can also find hundreds of coots and wood ducks at their peak color. At Santee Lakes, the water is still and the reflections are beautiful with color. Walt has traveled to Magee Marsh in May. Magee Marsh Wildlife Area is very near Toledo, Ohio. This is one area in which Walt suggests to give yourself some time to spend at Mageee Marsh. 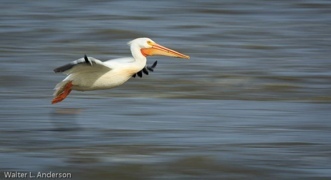 There may be one day you visit and birds will be scarce, but then another day you will come across many. There are a variety of warblers, black-throated blue warblers, gold wings, hermit warbles, yellow warblers, just to name a few. In June, it is Grand Teton National Park and Yellowstone National Park. At this time of the year it is all about photographing babies. Most of the mature animals have had a rough winter and they are not looking their best. The babies however, are just born. Images of the young cubs, coyote and foxes are amazing and it’s all about family. Glacier National Park in Montana at the end of July and beginning of August is perfect for wildflowers and critters. Interestingly, when Walt visited last year, he found the top of Logan Pass had eight feet of snow and there were no wildflowers. Add to that, limited wildlife. This is not typical. You’ll find an array of osprey birds as well as bear. Walt’s images were taken on the eastern side where it is higher in elevation and wildlife is available. Walt included the Badlands National Park in South Dakota for prairie dogs, bison, antelope, and elk. 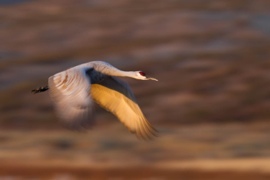 Bosque Del Apache in New Mexico is known for its remarkable sunrises and sunsets and for its thousands upon thousands of snow geese and sandhill cranes. One thing to note: you can enjoy good light 250-300 days a year. When you’re confronted with so many opportunities to photograph geese and cranes, it is the time to experiment with compositions and selective focusing, isolating a subject, put into groups, etc. Walt feels that these are just some areas that he found exciting and worthy of photographing but certainly there are hundreds of areas to go. Walt has put together a year’s list of areas and it can be found right here: A Wildlife Photographers Fantasy Year. Thank you Walt for a great presentation and especially for some incredibly fantastic images! 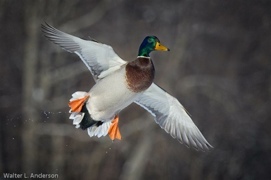 Walt Anderson became involved with nature photography in the 1990s. He and his wife Carol present travelogues throughout the Chicagoland area. They have begun teaching photography classes and leading tours at the Morton Arboretum in Lisle, Illinois. Inspired by Larry West at an early workshop Walt started to explore the capabilities of the new TTL flash units that were just being introduced. He has received widespread recognition for his invention of the Flash X-tender, which is distributed worldwide. (It is also marketed under the name “Better Beamer.”) He has shared his knowledge of the use of flash with his Sunshine in your Pocket program for many conventions and clubs. For more information please visit Walt’s website. Walt has been published in books and calendars by Capstone Press, Compass International, The Creative Company, Everyday Learning, and Chicago Wilderness magazine among others.